Seize this opportunity to purchase a practice in a rural community within easy driving distance of Edmonton, Alberta. This is an excellent opportunity to own a well established family practice which has been in this present location for almost 40 years. The practice is open 4 days per week with strong, sustainable treatment and hygiene programs, and a good fee/payment structure. The strong hygiene program is good evidence of this conservative and preventive oriented practice. There is great potential to increase the current patient base of 1,000+ patients, by simply being open more hours per week, and more than the approximately 180 days per year currently worked. 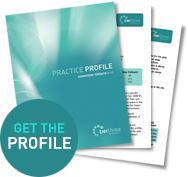 The purchaser could easily take advantage of patient referrals to dental specialists, and take the practice to the next level by keeping these procedures and revenues in-house. This practice is chock-full of upside potential. The facility includes 4 equipped operatories, a staff room and a doctor’s private office, in a total of 1,644 ft2. The facility has been upgraded on a regular basis, so that it portrays a modern up-to-date appearance. The vendor will entertain a transition period to be negotiated, if the purchaser desires.